The Apple Watch is now available to buy in India from authorised resellers. As Gadgets 360 exclusively reported last month, the Apple Watch prices in India start from Rs. 30,900 (38mm) and Rs. 34,900 (42mm). The wearable comes in Apple Watch Sport, Apple Watch, and Apple Watch Edition variants. The base model price of the 38mm Apple Watch Sport is Rs. 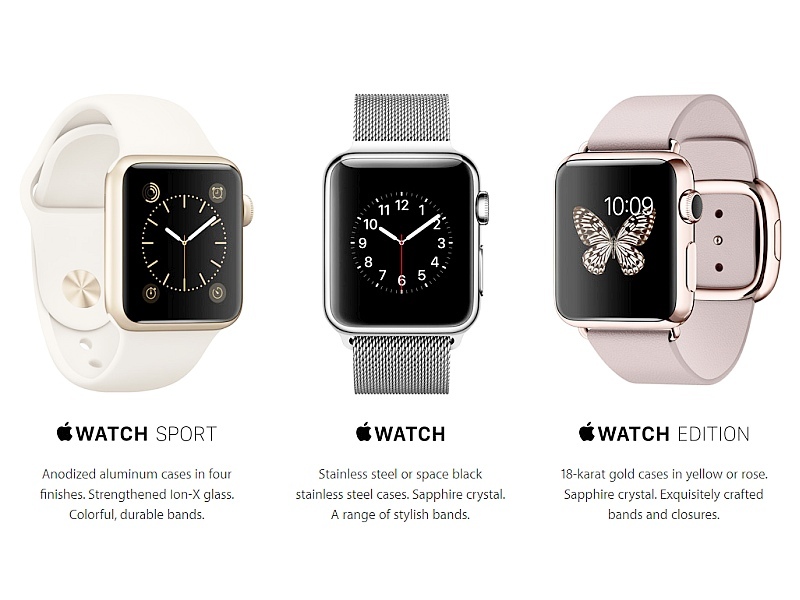 30,900 (Silver Aluminium Case with White Sport Band), while the Apple Watch starts at Rs. 48,900 (Stainless Steel Case with White Sport Band), and Apple Watch Edition at Rs. 8,20,000 (18-Carat Rose Gold Case with White Sport Band). To put that in perspective, the 38mm and 42mm Sport models of the Apple Watch start at $349 (Rs. 22,700 approximately) and $399 (Rs. 25,900 approximately) in the US respectively, before taxes. The Apple Watch starts at $549 (approximately Rs. 35,600) for the 38mm model, and $599 (approximately Rs. 39,400) for the 42mm model, while the Apple Watch Edition starts at $10,000 (approximately Rs. 6,58,100) for the 32mm model, and $12,000 (approximately Rs. 7,89,700) for the 42mm model, once again before taxes. In the Gadgets 360 review of the Apple Watch, we concluded that if you have an iPhone and if you want a smartwatch, the Apple Watch is your best choice in the smartwatch market. Despite Google’s recently rolled out Android Wear support for iPhone, it would be hard for app and platform developers to provide the same level of functionality on a rival platform. Other products like the Pebble Time and Fitbit Surge have limited interactivity with iPhones due to Apple’s software restrictions. Overall, we felt the Apple Watch feels very polished for a first generation device and its trade-offs (battery life, lags) are minor and shouldn’t stop you from buying the device. The company in Septemberreleased watchOS 2 as well, the updated system software for the Apple Watch, which brought featureslike activation lock, native apps, and more.